CSE Global - Infra Bump-Up! CSE Global has announced that it secured a cumulative S$84.8m of infrastructure works in 4Q18, bumping up its FY18 infrastructure wins to S$150.5m. Post the new wins, we lift FY18-20F EPS by 2.0-12% on higher infrastructure revenues and GP margins. We maintain our ADD call with a higher Target Price of S$0.56, still based on 13.5x P/E, as we roll over to FY20F valuations. 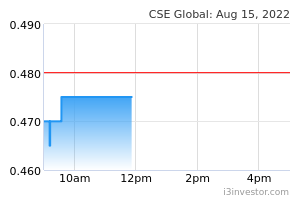 CSE Global remains our small-cap pick. CSE GLOBAL LTD (SGX:544)’s 4Q18 S$84.8m order wins were 3x the average quarterly infrastructure win of S$22m per quarter in 9M18, and takes cumulative FY18 infrastructure order intake to S$150.5m (+43.6% vs. FY17’s S$104.9m). We believe the S$84.8m could include some larger contracts that may be executed over the medium-term. CSE Global mentioned that the 4Q18 wins include government contracts in Singapore and involve process control solutions and telecommunications systems and security systems and maintenance projects. The wins lift cumulative group order intake to S$323.8m (9M18: S$239.0m) and order backlog to S$221m (S$136.5m as at end-Sep 18), before including wins from CSE Global’s other segments. Assuming O&G and mining and minerals added another S$60m order intake in 4Q18F (based on both segments’ average quarterly wins for 9M18), cumulative order intake could be S$381m, which is comparable to the S$382m won in FY17. The infrastructure segment’s revenue grew to 27.9% of 9M18 group revenue (vs. CY15/16: 13.1%/18.5%) as CSE Global’s diversification strategies have borne fruit. Coupled with healthier margins of > 10%, the division’s 9M18 EBIT accounted for 54.9% of group EBIT (CY15/16: 20.3%/30.2%). In CY17, the segment’s contribution even spiked to 78% of group EBIT as the oil and gas division faced a downturn. 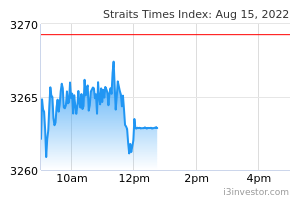 In CY17-9M18, the segment contributed EBIT of S$10.7m-15m (CY15/16: S$8m p.a.). The new infrastructure contract wins bump up our FY19-20F revenue by 2.3% and 7%, respectively. We also increase FY19-20F GP margins to 27% (from 26.8%). Overall, this lifts FY19-20F by 7.3% and 12%. its dividend yield of 6.8% (on DPS of 2.75 Scts). Our target price is based on an unchanged 13.5x CY20F P/E (close to its historical 5-year mean of 13.1x). Catalysts are higher order wins and GP margins. Risks are vice-versa.